Asia – Allen & Heath has strengthened its team in the Asia Pacific region with the appointment of technical marketing director, Chris Pyne. 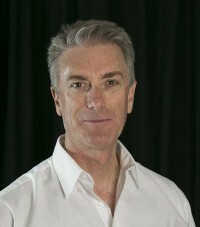 Born in Australia, Pyne has three decades of experience in the pro touring and event industry as sound engineer for artists including Kylie Minogue, Jennifer Lopez, IL Divo, Sir Andrew Lloyd-Webber, Westlife, and the Asian artists Jacky Chueng and Chueng Hui-Mei. Pyne also has extensive live and studio recording experience. Most recently, Pyne has worked in a technical training and support role at Martin Audio. Pyne will be providing technical expertise and training via Allen & Heath’s partner network, as well as supporting the growing community of touring engineers and rental companies in the region who have adopted Allen & Heath digital systems.